Published July 9, 2013 at 633 × 647 in 2012-2013 ePortfolio Student Showcase Now Live!. Highlights: Priya’s capstone ePortfolio clearly organizes her course work, reflections, and program goals under the “Academic Work” section. 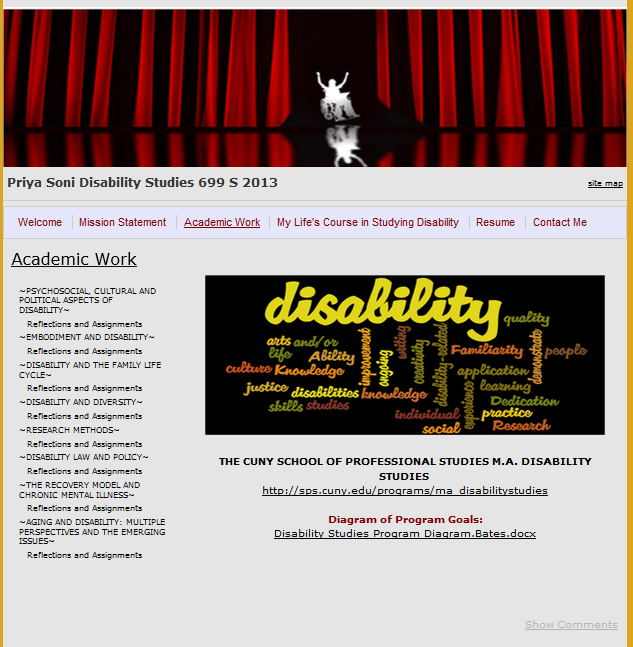 She also provides a wonderful account of what brought her to the Disability Studies program at SPS and plans for the future in the “My Life’s Course in Studying Disability” section of her ePortfolio.